Leading Irish domain and hosting company declares 2014 the year Irish business goes social. Adopting social media can increase sales and customer loyalty says Irish hosting provider and registrar. Blacknight calls on Irish online businesses to work to raise the bar on social media adoption nationwide. The 2013 ICT Enterprise Report results are out and Ireland leads the European Union in companies that have a social media policy in place. According to the report, 20% of companies in Ireland have made social media a formal priority. While this statistic is a good start, Irish businesses are capable of much more. Blacknight CEO Michele Neylon states: "With Twitter, Google, Facebook and Hubspot all having headquarters in Ireland, we can become the social media capital of the world and with it, Irish businesses can capitalise on being super-connected businesses across the globe". 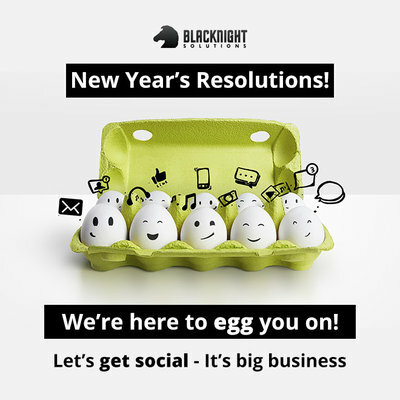 Blacknight is rallying Irish online businesses that have not previously considered social media, blogging and viral customer engagement to begin the New Year by making a splash with their customers and reaching out in a more personal way. The maintenance of Blacknight’s award winning blog bears a direct correlation to an increase in revenue. While only 20% of Irish companies surveyed have a blog, creating one is a simple, effective way to for a business to relate to their customers on a human level. 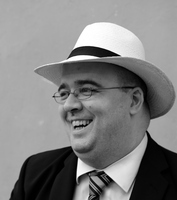 Neylon advises keeping the blog relevant to a businesses core message in order to educate, connect and create loyalty. In 2013, it was reported that 81% of all Irish households have Internet access and 74% of Irish citizens are regular Internet users. This is a powerfully large potential customer base but with only 20% of Irish businesses active on social media, many opportunities are being missed. While some businesses don’t yet see the value that a social media campaign can bring, Neylon can testify to the game changing benefits of direct customer engagement. “Our social media resolutions for 2013 were to blog more frequently and to use our social media accounts to help our customers learn more about online safety,” Neylon states. He also recommends that businesses making their first social media resolutions start with something small and manageable such as creating a Twitter account and updating it daily. He also suggests starting a topical company blog and a Facebook page to communicate with customers. Blacknight offers several services to help online businesses connect with their customers socially including hosting, domains and the goMobi mobile site builder. The Blacknight blog also offers helpful how-to and motivational tips to help online businesses get social today.